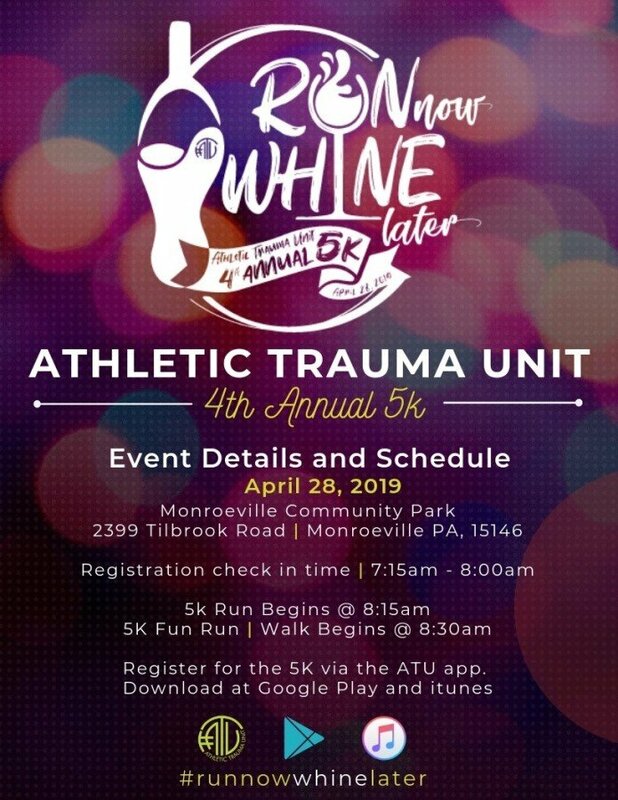 Register for the Athletic Trauma Unit 5k today! Registration: $30 until 11:59pm on April 1st. ; $35 from April 2nd - April 16th; $40 from April 17th - April 27th. Children ages 5-12 do not require registration. Children ages 13-17 registration is $20. Participant check in will run from 7:15-8:00am on race day. The 5k run begins at 8:15 with the Fun Run/Walk beginning at 8:30am. Race Giveaways: Registered participants will receive Gift bag including T-shirt and sponsorship gifts! Professional Masseuse will be available at end of 5k for FREE! Timing: Chip Timing provided by Wolf Creek Race Management.